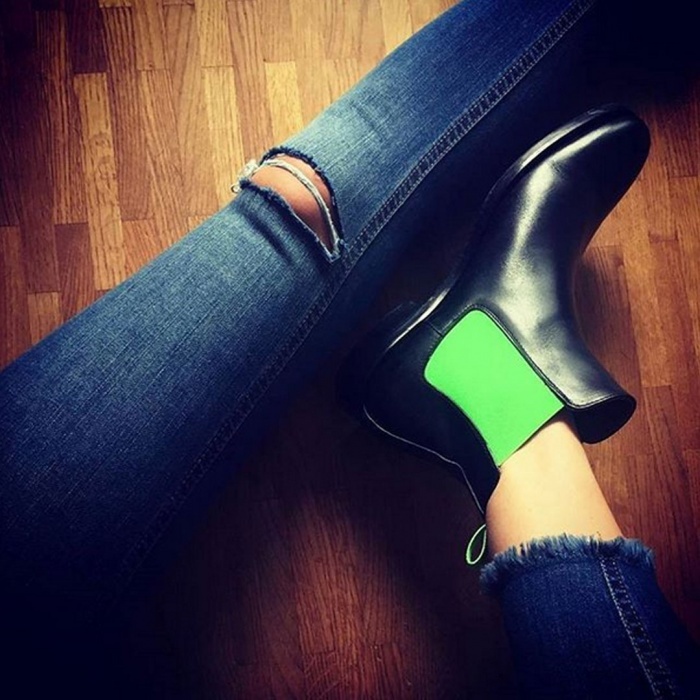 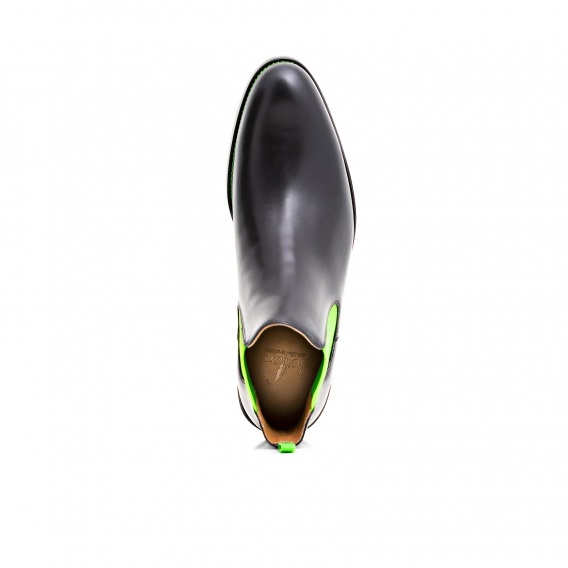 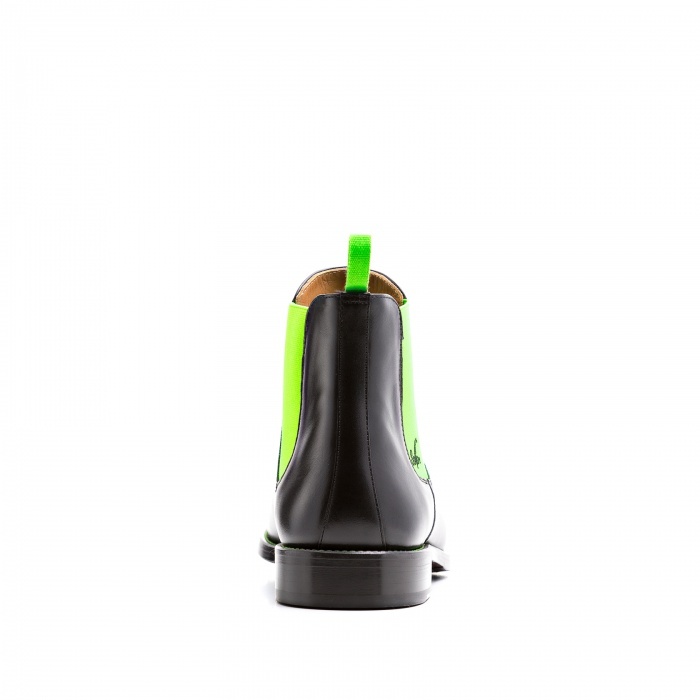 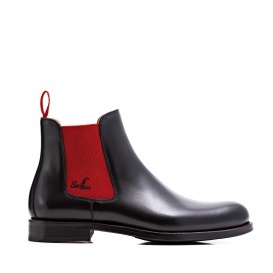 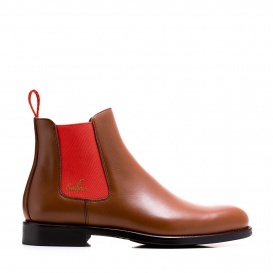 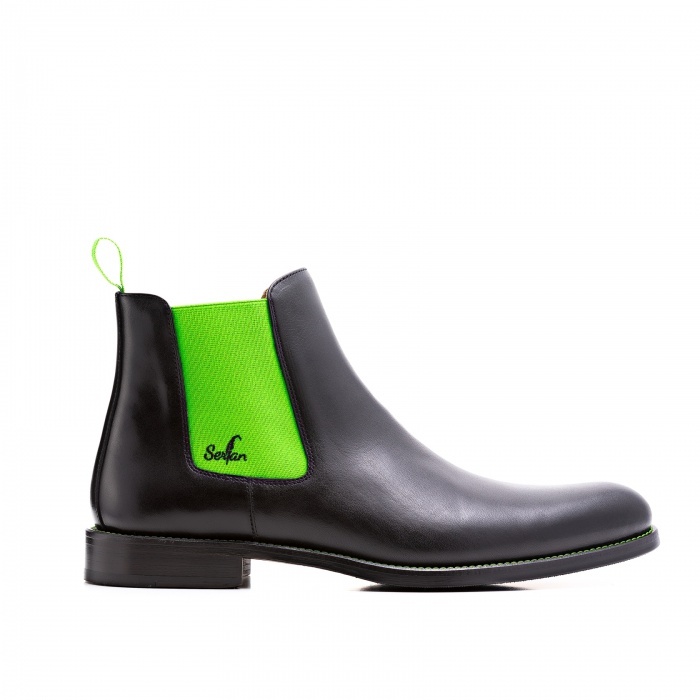 The elegant black Chelsea Boot with his green elastic bands is a refreshing companion. The green creates a feeling of well-being for its wearer. 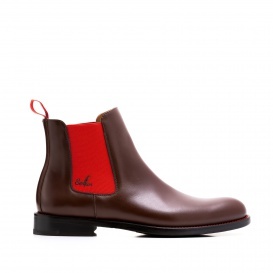 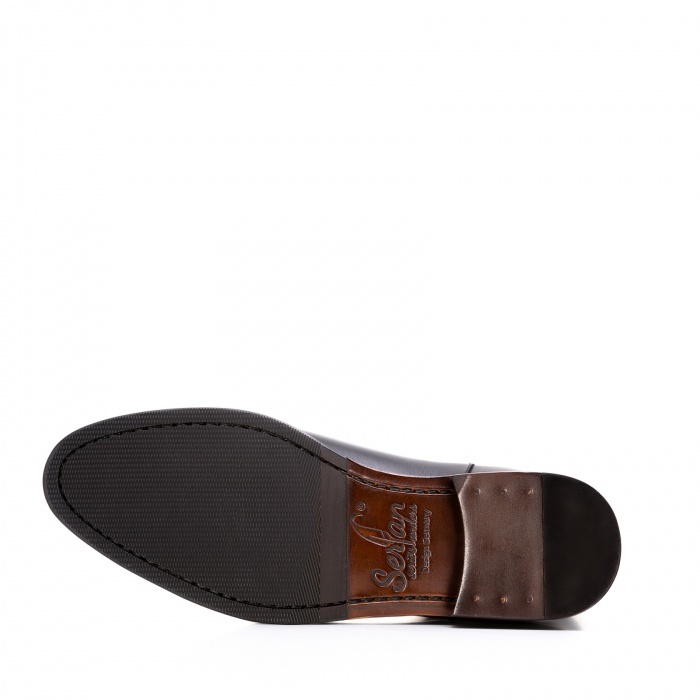 Thanks to the elastic bands and the soft leather this boot offers an excellent fit. 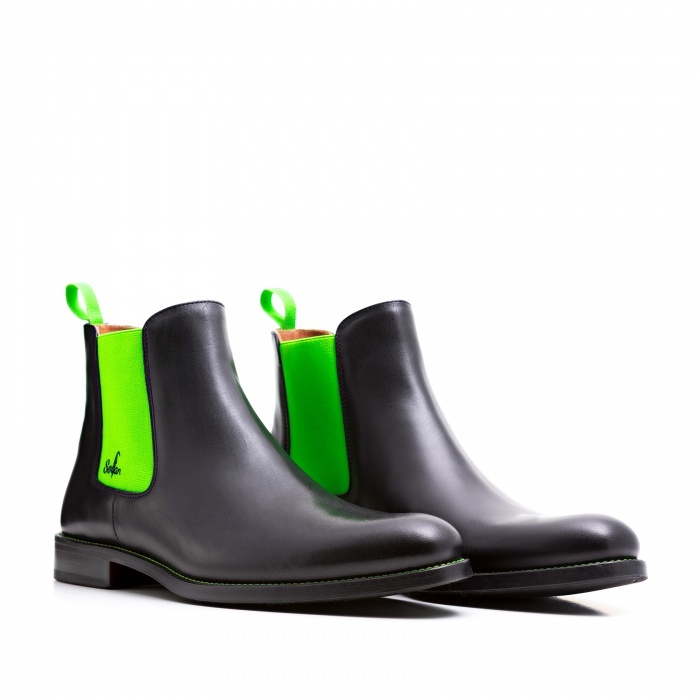 Combine this color combination to a casual, dark skinny jeans and a black blazer – and you are ready for your next business meeting!